On Friday, January 22, Google launched a new reporting tab in AdWords to help advertisers measure interactions that take place before a click-through for video ads, display ads, product extensions and location extensions. The new report is in AdWords within the Dimensions tab. Once inside the Dimensions tab, select “Free Clicks” to view the new statistics. To distinguish these clicks from clicks that advertisers pay for, Google has labeled them as “Free Clicks” although they are in your AdWords account. 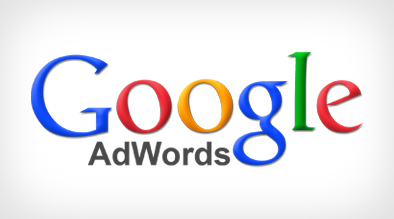 The items included in the AdWords report are: Get Directions, Display Ad, Video Play x% and Product Plusbox Expansion. The Get Directions number is a click by the user to see the drop down map on the sitelink extension. This click typically is a large number and indicates high intent from the searcher. The Get Directions data allows advertisers to analyze how users are interacting with hotel maps and sitelink extensions. Also included in the “Free Clicks” report is display ad numbers, in which the advertiser is able to see how long a user had the mouse over the display ad. Generally if a user mouses over a display ad for long periods of time, it means they are fully engaged with the ad and absorbing the information. This does not cost the advertiser any money, but now the advertiser is able to see how compelling the display ad is and if new ad copy should be written. PPC campaigns which generate a high amount of “free clicks” signify that the ads are performing well because people are engaged and interacting with them. While running a local campaign, this new data shows the number of users who don’t actually convert through a form on your website but still desire information about the hotel. Knowing how the customer interacts with the ads gives the advertiser insight into how the user research and what content captures their attention.